You are in the right place if you are looking for a quality, affordable source for garage door repairs and garage door installations in South Burlington, Vermont. Champlain Door Systems is a long-standing local resource with over a quarter of a century of experience, and we take our work personally, because we are family owned and operated. This Chittenden County city is well loved by many quality ice cream enthusiasts, because Ben & Jerry’s is headquartered in town. It is also a magnet for local shoppers since the biggest mall in the Green Mountain State is located in South Burlington. We have developed relationships with many clients in the area over the years, and we look forward to making new connections as time goes on. If you are in Queen City Park, City Center, the airport area, or any other section of town, for garage door openers, garage door repairs, and garage door installations, South Burlington, Vermont can rely on Champlain Door Systems. We have expanded our capabilities over the years in an effort to satisfy all of the garage door needs of the business community. 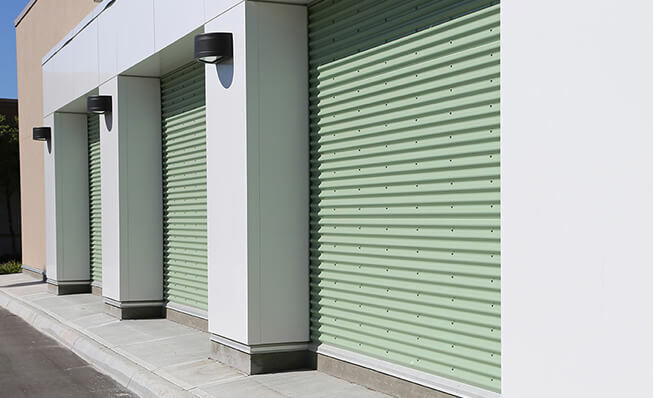 Commercial garage doors are relied upon by many businesses to protect valuable inventory and facilitate efficient day-to-day operations. Our commercial garage door repair technicians respond to service calls in a relative blink of an eye, because we have ten trucks on the roadways, so someone nearby can always be dispatched quickly. We can install or repair commercial garage doors and all types of overhead doors for South Burlington, Vermont businesses, and we also specialize in gate opener installations and gate opener repairs. Plus, where there are overhead doors, there may well be loading docks, and we have extensive loading dock installation, service, and repair experience. Residential garage doors for South Burlington, VT homeowners. We have you covered if you are a business decision-maker that needs garage door assistance, but we are also residential garage door installation, garage door repair, and garage door opener experts. The garage doors and garage door openers that we offer are sourced from the most highly respected manufacturers in the industry, and we offer a wide variety of garage door styles. Contact Champlain Door systems today! If you would like to discuss any of our services with one of our South Burlington, Vermont garage door specialists, you can reach us by phone right now at 802-524-7595, and our toll-free number is 1-800-585-7595.